We have a number of resources to assist educators and students looking for information on careers in the skilled trades and technologies. 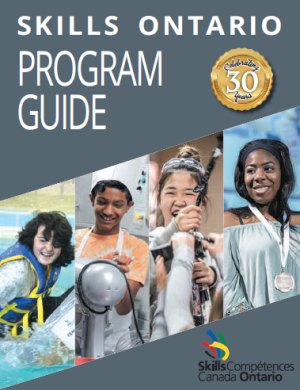 A guidebook to everything Skills Ontario has to offer, this vibrant publication is provided to affiliated schools each September and is available online. Skills Work!® booklet provides answers to many important questions that students, parents, and educators may have concerning careers in the skilled trades. This booklet provides profiles for over 60 of the most popular skilled trades and technology careers, including real life success stories of young Ontarians who have pursued the trades as viable and answers to frequently asked questions. Class sets are provided to newly affiliated schools and additional copies can be purchased for $5 per booklet (minimum order of 5) or $150/case of 75. The booklet is available in both official languages. 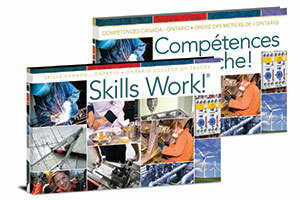 Email info@skillsontario.com to order a minimum of five booklets. Please specify if your request is for English or French. 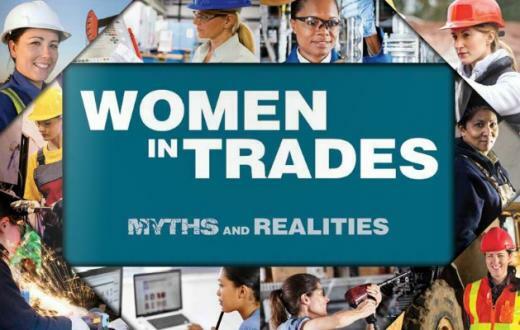 Find a copy of our latest Women in Trades: Myths and Realities booklet at our events and online. Inside you'll find information for women considering the skilled trades and advice on how industry, government, and educators can provide them with meaningful support from high school through to the workplace. We also highlight six common myths about women working in the skilled trades and dispel these with realities found in these careers, including excellent wages, good working conditions, and room for advancement. Copies of this resource can be purchased for $2 per booklet for Skills Ontario affiliated schools, and $3 per booklet for non-affiliated schools (plus shipping and handling, minimum order of 5). For more information on how to order the Skills Work!® Skilled Trades Workbook, please email info@skillsontario.com. This colouring and activity book is a new and unique avenue to reach young learners who may be too young to participate in our other programs and competitions. We hope this workbook starts young learners on a path of exploration for their future, inspiring them to try new things and learn new skills – and have some fun along the way! Copies of this fun resource for young learners can be purchased for $2 per book for Skills Ontario affiliated schools, and $3 per book for non-affiliated schools, plus shipping and handling (minimum order of 5). For more information on how to order the Skills Work!® Skilled Trades Workbook, please email info@skillsontario.com. 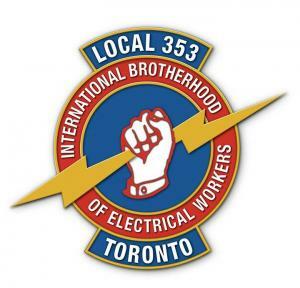 Think you have what it takes to take on a trade? Time to put your skills to the test and play the Skills Work! Skills Play! The Apprenticeship Game! 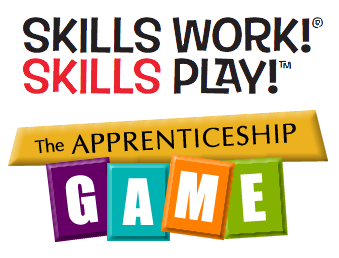 Fun and educational, this game is a great introduction to the world of skilled trades.